Subject to availability, single game tickets may be purchased online at www.ticketmaster.com, on the Ticketmaster app for iOS or Android, or in person at the Ohio State Athletics Ticket Office in the Schottenstein Center. Tickets may also be purchased at Bill Davis Stadium 90 minutes prior to each game. Prices will vary based on seating location and service fees may apply. Reserved Box Seats are $11 for adults, $8 for seniors/students/youth and everyone, regardless of age, must have a ticket in these sections. General Admission Bleacher Seats are $8 for adults, $5 for seniors, $5 for students/children, and children under the age of 6 are admitted free. 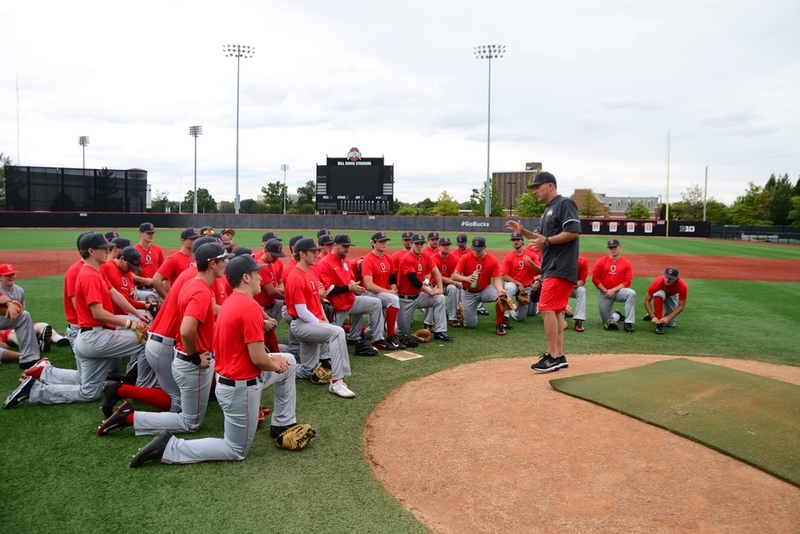 Full season tickets for Baseball may be purchased by contacting the Athletic Ticket Sales Office at 1-800-GOBUCKS (select option 2, then option 8), or email athleticsales@osu.edu to speak with an account executive. Group Tickets are available to all Ohio State Baseball home games at Bill Davis Stadium! Ticket minimums may apply for certain group experiences and must be purchased through the Group Sales office. To order group tickets contact the Athletic Ticket Sales Team at 1-800-GOBUCKS (select option 2, then option 8) or email athleticsales@osu.edu to speak with an account executive. Anthem Buddies – Groups receive exclusive access to stand on the field with the players during the national anthem *limited availability! Buckeye Picnic Plaza –Groups receive exclusive access to reserve picnic tables along the first baseline for their group. Tickets are also a general admission seat which includes a food voucher (hot dog/popcorn/drink). Tickets for this special package are $9 apiece (includes any applicable fees). To order group tickets or ask questions, contact the Athletic Ticket Sales Team at 1-800-GOBUCKS (select option 2, then option 8) or email AthleticSales@osu.edu to speak with an account executive. What if a game is rained out? For games that are cancelled or suspended due to weather before 4 1/2 innings have been completed, the customer may exchange their ticket for a ticket of equal value for any future game based on availability. – Bring the ticket stub to a future game and exchange it at the ticket booth at Bill Davis stadium. – Mail the ticket stub to the ticket office with a letter indicating which game they would like to exchange the ticket(s) for. The letter should include their name, home address (where to mail the tickets), and daytime phone number. The ticket office will mail the new tickets if time permits or hold them at will-call. – Bring the original tickets to the ticket office and request an exchange. We do not typically have an away game sale for our alumni or general public. We encourage you to contact the host school for any availability they may have.